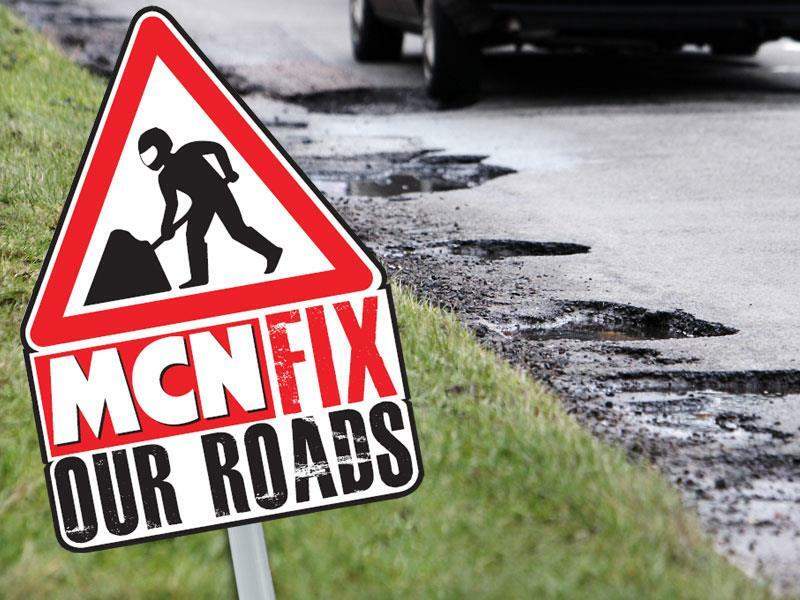 ﻿ MCN Campaign: Fix our roads! MCN is today launching a fight to mend our pothole-ridden roads. With your help, we’re going to highlight some of the country’s worst potholes and get them filled – even if we have to do it ourselves. We’ll give councils four weeks to fill the potholes you tell us about. From the ones that don’t get fixed, we’ll pick a selection of the worst and shame the councils in question by offering to have the pothole professionally filled. Our aim is to put pressure on the Government to spend more on potholes by highlighting the extent of the problem, and the strength of feeling over it. Our campaign comes after two riders died on a road branded a “slalom course” because it’s so potholed. An unnamed 44-year-old rider and 42-year-old pillion died on Sunday when their Suzuki hit a Renault Clio. Last month locals put up a sign on Leighton Buzzard Road in Hemel Hempstead, Hertfordshire, saying: “Pothole slalom. Black route. Difficult.” Police are investigating the cause of the crash. Two successive harsh winters and under-spending on road maintenance have pushed the number of potholes in England and Wales alone to 1.6 million. 1. Take a picture of a pothole and email it to us at mcn.news@motorcyclenews.com. Tell us the location of the pothole including street name, the date the picture was taken, and your name and phone number. 2. Report the pothole to your council online by clicking here. 3. When and if it’s repaired, let us know by sending us a second picture of it including the same details as before. 4. If it’s not repaired after two weeks, let us know. We will pick some of the worst untreated potholes and shame the council in question by offering to have them professionally filled ourselves. To read about the rider almost killed by a pothole on the M40, and how MCN’s pothole campaign has already reached the House of Commons, get MCN, on sale March 24.